High capacity fans deliver effective cooling and circulation for large spaces. They are an efficient way to circulate air through a warehouse, or they can keep temperatures livable at a crowded summer gathering. 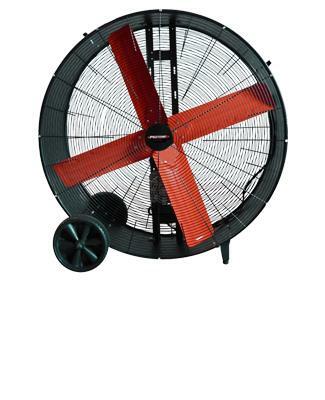 Anywhere a lot of air needs to be moved, our high capacity fans will handle the tough demands. * Please call us for any questions on our box fan 36 inch 48 inch rentals - serving Washington and Oregon with all your construction equipment rental needs.